My first reaction was emotional – I could not help feeling a thrill that a Prime Minister of Israel stood before a joint session of Congress and received a standing ovation. Israel has been part of my life since I was a child. My first trip there was the summer of 1971. I lived there for a year, the summer of 1996 to 1997. I have watched it grow from a fragile state too small to support a viable economy, to one of the most innovative and prosperous of modern states. I have seen it suffer through wars and know the desire of my friends there for a time of peace. Putting it simply, non-Jews just do not understand the importance of Israel to the Jewish people. It goes beyond religion to our history and peoplehood. Seeing an Israeli Prime Minister stand before congress represents a culmination of all of those emotions. Yet, the particulars are troubling. I start with the figure of Netanyahu himself. I know his history. It is fraught with political and personal scandals. His election as Prime Minister is less about citizen approval of him than the intricacies of the Israeli political system. He has been the beneficiary of being in the right place at the right time politically. His party ekes out just enough seats in elections to be the broker in forming a government. Mostly, though, I see Netanyahu as a great showman who has pulled the wool over the eyes of the right wing of American politics. He grew up in Cheltenham, PA, so he learned perfect, idiomatic Americanized English. He talks tough. He has a deep resonant voice. He puts on a great show – for Americans. So I resent that Netanyahu has used the American political system to stage a first rate re-election ploy. Israeli elections are a week away. His party, Likud, is in a tough fight for Knesset seats. Coming to Congress at this juncture plays to a political base in Israel that responds to the concept of tough talk standing up to an American president – especially a liberal Democrat. Rather than having the air of an important policy talk given by the leader of a key nation in the Middle East, Netanyahu’s speech in Congress had the feel of political manipulation – by Netanyahu for his own election purposes in Israel and by the Republican Party here, as they mount opposition to President Obama on pretty much everything. As an American I resent the feeling of being manipulated, for the purposes of those whose chief concern is seeking political power within their own systems. 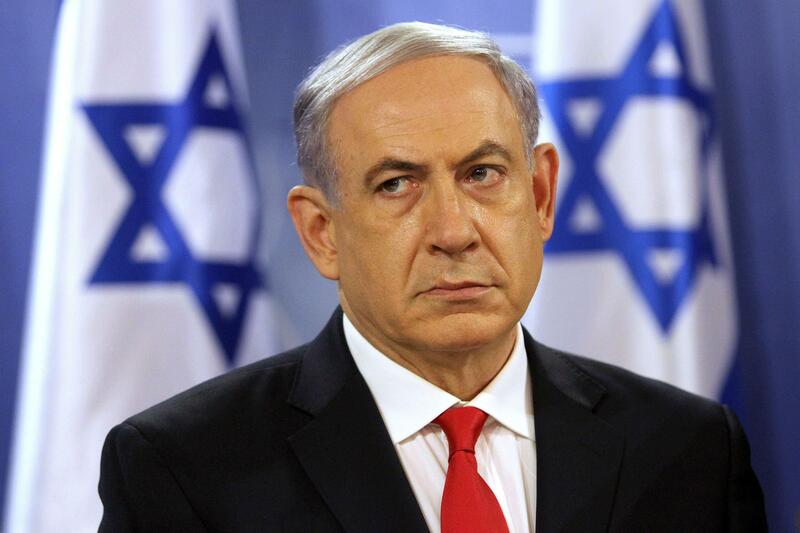 So the central truth of Netanyahu’s message was lost in all of the political gamesmanship. And the reality is, there was truth. What would be most useful is an open frank discussion over what are the realistic options in dealing with Iran. This requires experts in the development of nuclear weapons along with those who actually have studied Iran and understand its culture and people. Tuesday’s speech created a sideshow that has now spawned other disturbing sideshows. If you watch the video of the speech or read articles about it take some time to read the comments below. You will be horrified and offended (I hope). One trend is outright hatred of Jews – not just Israel but Jews. Old canards like the Jews control the American media are casually tossed about as truth. Normally it is easy to dismiss these comments as the work of kooks. But we have a current backdrop of rising anti-Semitism in Europe as well as on a number of American college campuses so the hatred hits home much harder. Many of the responses are disturbing as well. Often the argument against the anti-Semite in these online comment threads is to condemn Islam, call it the religion of Satan. Is this really the level to which our public conversation must descend, the exchange of hate speech? Is it possible to respond to disagreement with thoughtful questions and discussion? My fear is that the discussion thread is starting to represent the reality of American political discussion – verbal bomb throwing. Thus we come to the conundrum of Netanyahu’s speech. The truth in its content is overwhelmed by the problems of context, motive, and climate. If the hate speech in the comments moves beyond the lunatic fringe, then the result will be more negative than positive. These are serious problems and as Americans as well as Jews we need better ways to advance the discussion. The Prime Minister’s appearance before congress did not provide one.